In general, terrorism is classified as the use of violence or threat of violence in the pursuit of political, religious, ideological or social objectives. It can be committed by non-state actors or undercover personnel serving on the behalf of their respective governments. This issue of global terrorism-Jihadi Islamic Terrorism-White Supremacist terrorism are all complex issues. A one-sided bashing of just one incident while deliberately ignoring other forms of terrorism is wrong and is not a balanced rational argument. She also said that the terrorist savage chose New Zealand because it a tolerant nation. “We represent diversity, kindness, compassion. A home for those who share our values. Refuge for those who need it,” she told reporters at Parliament as the horror of the shootings began to unfold on Friday, her words broadcast around the world even as the killer’s video and manifesto of hatred were spreading online. “You may have chosen us,” she said of the gunman, “but we utterly reject and condemn you.” How true. Same is true for other vile Jihadi terrorist attacks as well and supremacist racist attacks around the world too. 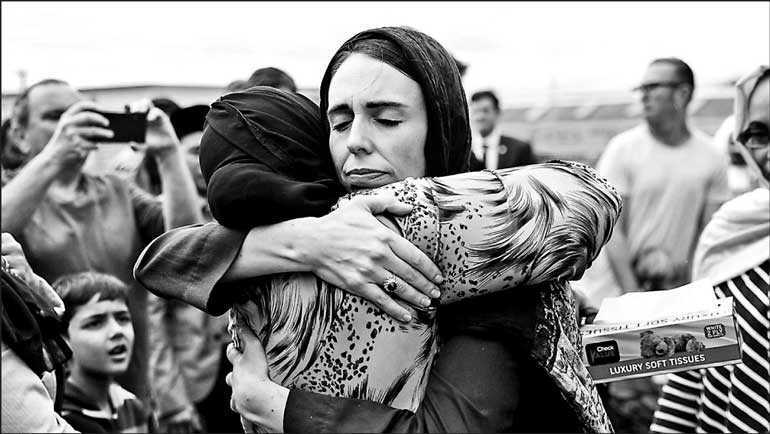 PM Ardern has shown true leadership highlighting the tolerant accepting nature of a Western Christian society. Sadly, the US President and his Government revealed his cards by being so mute about this terrorist savage’s massacre of innocent Muslims because it did not fit his agenda. It was a relief to hear the PM of the peaceful safe nation speak out on behalf of all victims. A lot of time people select, in a very convenient manner, only to attack one kind of terrorist attack and remain silent and not write about the other terrorist attacks. A. A demented Jihadi savage (this white man in New Zealand was a savage terrorist) mowed down 86 people in Nice, France in 2016. France is another Western nation that has seen a rapid influx of immigrants of different ethnic groups and is going through serious adjustments. B. In Manchester, young people attending a Ariana Grande concerted were killed by a terrorist. Was their crime attending a concert because the radical jihadi Taleban types do not approve of Western music? C. In London, near Westminster six people were killed by a terrorist. D. In the USA, an American security guard named Omar Mateen, a 29-year-old, killed 49 people and wounded 53 others. His parents were immigrants who were welcomed into the US. E. In San Bernadino, California, a terrorist woman (who took advantage of the US’s immigration policies to marry someone she befriended the internet and came over on a fiancée visa without proper background check) and her husband killed 14 people in 2015. People who do not condone these sort of politically motivated acts of mass violence should not selectively criticise and condemn one kind of terrorist attack by passing blame onto one side only. ISIS has raped, beheaded and burnt alive people in Iraq and Syria. They raped and murdered Yazidis and fellow Muslims who happened to be Shia because that did not fit their definition of who a religious person should be. And similar state actors in Syria have also committed heinous acts. But ISIS and Al-Qaeda who believe that their path is the true path have committed unspeakable savagery. Now this is not the place to talk about how Islamic Jihadi terrorism became worse a result of the foolish invasion of Iraq (it did and people predicted including this writer, exactly what would happen. Jihadi group recruitment numbers skyrocketed as a result of that invasion), but one cannot just blame and point finger selectively without proof and make statements about one kind of terrorism without condemning other kinds of terrorism. Sri Lanka underwent politically motivated terrorism of two type at the hands of the LTTE: targeted attacks on military and political leaders and deliberate attacks on civilians at religious places (Anuradhapura, Kattankudy, etc.,) to provoke people to react against innocent Tamil people like how the foolish gory savage terrorist Black July was committed in 1983. That single incident of State-related violence is a reason the LTTE grew to be formidable force viewed as been the defenders of Tamil people. Their recruitment numbers increased as a result. Same is true in the Khalistani movement. Black November 1984, resulted in more people wanting revenge and justice, joining the Khalistani movement. 1. One cannot also ignore so many other white racist terrorist attacks such as the one in Norway in 2011, which ended with 77 deaths by one savage terrorist. 2. In the US, a savage demented terrorist killed nine innocent churchgoing black people in Charleston at a historical black church hoping to start a race war in 2015. 3. In 2015, another white extremist terrorist killed six Sikhs in a Gurdwara in Wisconsin.